Nice car with room for 8 kerbals (hence the name), realistic performance and a very solid construction. It’s a hybrid using a single Juno and 8 fuel cells. 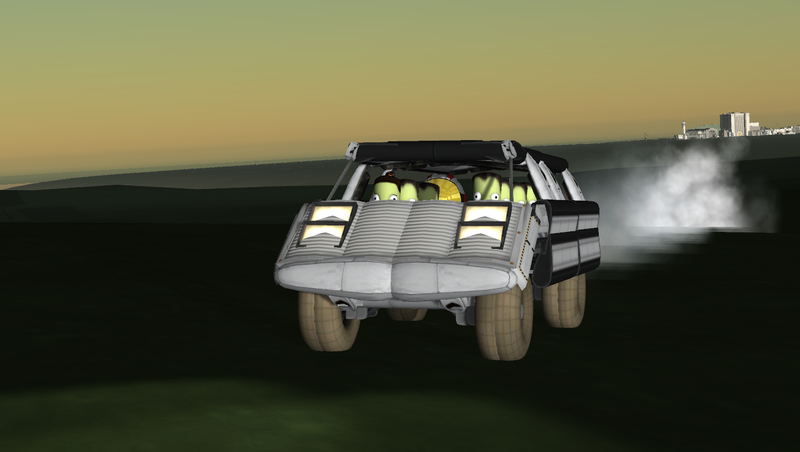 Top speed with 8 kerbals: 45.8m/s (kerbals are very draggy). The little gap in the rear doors is for the jet engine exhaust. The Boost Flap is placed directly behind the engine. If you look at the last picture … apparently kerbals are vampires.